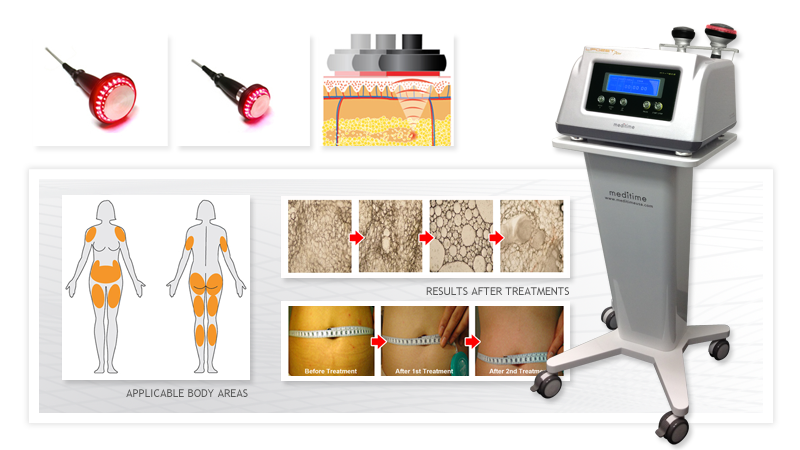 Lipozet Plus is a system that uses ultra sonic energy to dissolve fat and cellulite. Not only will the pitting of cellulite improve, so will your body shape! For a system that is non-invasive and non-surgical, you will be amazed at the results and see a difference after your first treatment. The treatment lasts for one hour and is broken up into three parts: 20 minutes of Lipozet cativation, 20 minutes of skin tightening, and 20 minutes of heat therapy. Cativation is high frequency ultrasound that causes micro-bubbles inside the adipose tissue. The micro-bubbles implode breaking down adipocyte's cell membrane without destroying other materials.